It is very unfortunate that the debate on the Saradha multi-layer marketing scam is again and again being discussed as a chit fund gone bad. The solutions being bandied about call for banning all chit fund activities in the country. This has been suggested by none other than the Parliamentary standing committee on finance headed by the BJP’s Yashwant Sinha, former Finance Minister. I read the news with a sense of shock since the scam has nothing to do with chits. Though there is no denying that what happened with the Saradha Group and other multi-level marketing/Ponzi companies has robbed millions of people of their savings, putting the blame on chit funds is like rubbing salt in the wounds. Banning chit funds is like calling for the amputation of the left leg when the right one is infected. A ban on all chit funds would cause havoc since there are millions invested in safe chit funds. Any general ban will cause harm on such a scale that even our nationalised banks will feel the heat. The fact is Ponzi (multi-level marketing) schemes such as Saradha have nothing to do with chit funds. In the case of the Saradha group, they had around 160 companies in areas such as realty, agro, media, exports, etc, but not one of them is a chit fund. In fact, the white-collar crimes executed by Saradha-type companies are the most unsavoury aspects of globalisation and a growing economy. Fraudulent multi-level marketers reach victims via all modes of communication – postal services, telephone, email, internet sites, television, radio, and even in person. Viable mass-marketing fraud groups require a variety of resources to operate, including the means to target and communicate with prospective victims, obtain and launder illicit proceeds, and evade detection by law enforcement and investigative agencies. Thus they also include legitimate business services, communication tools, payment processors, fraudulent identification documents, and even counterfeit financial instruments. As a whole, nowadays, fraudulent mass marketing operations are increasingly interconnected and fluid, with groups shifting alliances according to the particular needs of a scheme. In Bangalore, one recent scheme by Vini-Vic, which cheated a large number of people, gave “receipts” to customers which clearly indicated that they are providing donations to a temple! Now that brings to the fore our contention: why are companies like ‘Saradha’ not really chit funds? 1. The Reserve Bank of India is the principal regulator for chit funds, and has an advisory role, as provided u/s 73 of the Chit Fund Act, 1982 (Act No. 40 of 1982). 2. Chit funds are defined under Section 45 I(c) of the RBI Act. An RBI notification, No DNBC.39/DG (H)-77, dated 20 June 1977, categorises chits as miscellaneous non-banking companies (MNBCs). 3. Since the subject is in the concurrent list (Entry 7 of List III) of the Constitution, the administration of rules to govern chits is with the respective state governments. A chit company has to be registered with the Registrar of Chit Funds in their states of operation. 5. Any company carrying on the operation of a ‘Chit Fund’ should have the words ‘Chit’, ‘Chitty’ or ‘Kuri’ as part of their company name. 6. Chit fund companies are not allowed to accept deposits from the public, or trade in stocks, or indulge in other cash management schemes. Now, on the above parameters or legality, Saradha-type operations are not chit funds. In fact, their modus operandi, to the best of our knowledge, is entirely to the contrary. A ban on ‘chit funds’, or a scrapping the ‘The Chit Funds Act, 1982, will not in any way affect such companies, which were never governed by it in the first place. So why not address the real issue instead of trying to find a scapegoat in chit funds? The uniqueness of the chit fund industry over other financial intermediaries is its ability to evaluate the intrinsic strengths of potential clients, mainly on the faith of the subscribers’ ability to repay, providing succour to lower/middle income groups, helping finance small businesspeople who are often wedged between the exorbitant costs of moneylenders and the stringent procedures of banks. The chit is seen not merely as an investment but a drop-by-drop plan to get lumpsum financing for marriages, education, housing, business, etc, at a future date. Chit funds are self-liquidating in nature and similar in character to mutual benefit funds. To illustrate the above, let us consider an example of a chit scheme with the following characteristics. Chit value: Rs 5 lakh; Duration: 50 months; Members: 50. The membership contributions in this case would initially be, say, Rs 10, 000 a month. In the first month, the collections would, therefore, be Rs 10, 000 multiplied by the number of members – Rs 5 lakh in all. This amount is called the ‘pot’ which is auctioned out at the end of the month. Now, let us assume that the highest bid in the first month’s auction is (20 percent) Rs 1, 00,000. This is called the ‘discount’. The highest bidder now gets an amount equal to the chit value, less the discount – i.e. Rs 4 lakh. The discount amount, less 5 percent commission to the foreman, is then divided among the 50 members equally. For the subsequent month, therefore, the contributions of these members reduces by the amount of the dividend (i.e. the contribution in the second month for the members would be Rs 8, 500.) This process gets repeated for all months till the end of the scheme. The contributions are the same for each member, but the total amount taken out or bid by each member varies. In case of default or delayed payment, the chit fund organiser/foreman has to bear the deficit on behalf of the defaulting and delaying members. In many parts of India, chit funds address gaps left by the traditional banking sector. They mobilise huge amounts of small savings, and in return allow members to have access to lumpsum amounts that they would often not be able to get from traditional banks. Easy accessibility and flexibility are important aspects of this form of financing. Compared to banks, chit funds require less documentation, are more flexible about collateral, and allow members to determine their own interest rate (within the constraints of a given chit scheme). Furthermore, there is no need to determine upfront whether funds are used for saving or borrowing. This is a salient feature of chit funds as it not only puts in place a disciplined savings mechanism, but also allows access to cash when needed. In addition, as chit funds use the funds of participants, there is much lower capital requirement for the institution (unlike banks). It is estimated that the value of chit turnover in states such as Kerala, Tamil Nadu and Andhra is almost Rs 10,000 crore each per annum. Though no authentic figures are available, the size of the unregistered chit fund industry as estimated by the Association of Chit Funds is almost 100 times that of registered ones. As the growth of this unregistered sector is not in the national interest, there is an urgent need to ascertain the exact volume and take remedial measure to contain the same. The average value of each chit registered with the office of the registrar in rural areas is around Rs 1 lakh – whereas in urban and metro cities the average value goes up to a maximum of Rs 10 lakh and Rs 50 lakh respectively. The presence of more than 30,000 registered chit operators generating several lakhs of employment opportunities, either directly or indirectly, especially in rural areas, without taking any subsidy from the government speaks volumes about its contribution to the national economy. From this one can clearly see that attributing events/incidents like the ‘Saradha scam’ to the failure of chit fund companies is erroneous, unauthenticated and malicious. Moving against so-called chits will create a run-in situation for the various above-board chits that have been working for the last several years in various parts of India. In fact, some companies are more than 100 years old and have been carrying on their activities without hiccups. Even in the case of chit funds, the finance ministry constituted a Key Advisory Group to (1) review the existing legal/regulatory/institutional framework for chit funds/nidhi companies and their efficacy; (2) prepare an action plan, including policy initiatives, for orderly growth of the sector; (3) recommend legal/institutional/regulatory initiatives and related measures for the orderly growth of the same. Though the group has submitted its report, it is yet to be formalised due to lack of coordination between the central and state governments. It is also ironical that while the government, seeing the potential of this industry, took the trouble to study this sector and has, in principle, agreed with most of the recommendations of the group in order to improve financial inclusion, the perception is still negative. It is clear that the mainstream media must stay away from scaremongering. 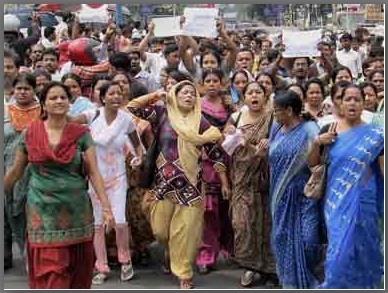 It should desist from describing the Saradha scam as one involving the failure of a chit fund. Leaders who are blissfully ignorant about the non-banking financial sector must also desist from offering kneejerk reactions to scams.